Wharfedale Pro Titan™ 12 series with 12″/2″ voice coil LF components and 44mm Titanium Diaphragm true Compression Driver and the integrated 90°x60° Waveguide horn to achieve a clean volume dispersion with wide, even reflection of the high frequency. The cabinets of the Titan™ series are made of extremely resonance proof High Density Polyethylene structural foam finished. This material gives a lightweight and very robust enclosure. The system can be arrayed for additional coverage and SPL requirements. 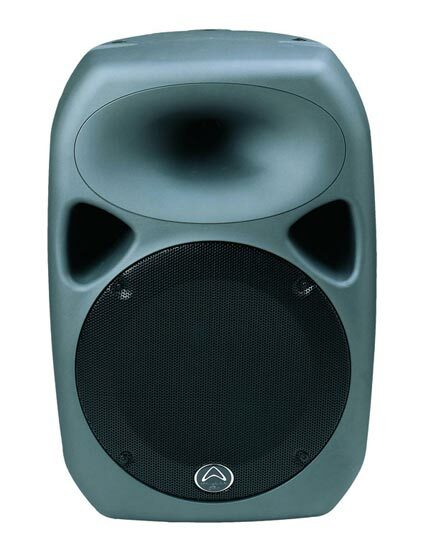 The elliptical waveguide HF section provides consistent coverage over its specified range for low feedback in open mic applications and improved array smoothness, whether applied to a reverberant or “dry” club type acoustic environment The Titan™ 12 integrates successfully with the room for superior sound quality with a minimum of equalization and tuning. For permanent sound installations, architectural compatibility of primary importance, mounting points become critical. Titan™ 12 series threaded points (Three on top, four on bottom, and three on each side for horizontal rigging) set a standard with Omnimount footprint on bottom.